In 1999, Australia held a referendum on whether to become a republic, deciding whether to chuck out Queen Elizabeth II as their technical head of state in favor of an elected official. It failed, but the country is chugging along toward another try. And I know how this koala will be voting! 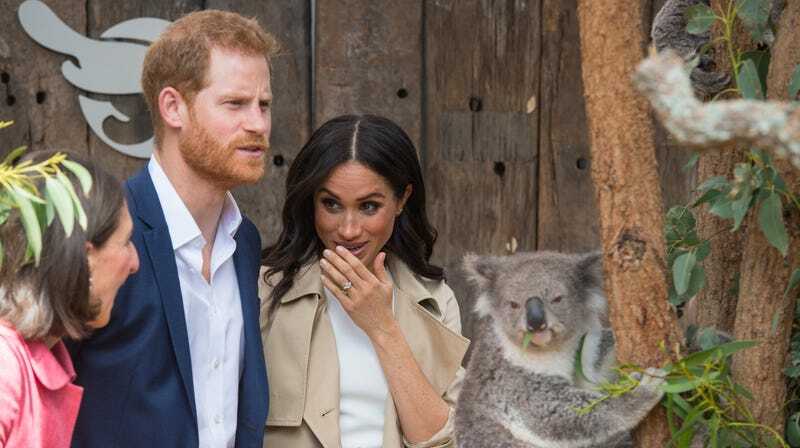 This koala is just trying to mind his own business and yet everywhere he turns, it’s royals again. If it’s not Prince Harry, it’s Prince Charles. Or Prince William. Always somebody with a title, trying to get in his face. They’ve still got this echidna in their corner, though.